A destination wedding can lend a unique vibe to your wedding. With such a large variety of landscapes and seasons in India, brides and grooms have a lot of options from which to choose. While there are several gorgeous locations across India, wedding destinations in north India are absolutely spectacular. 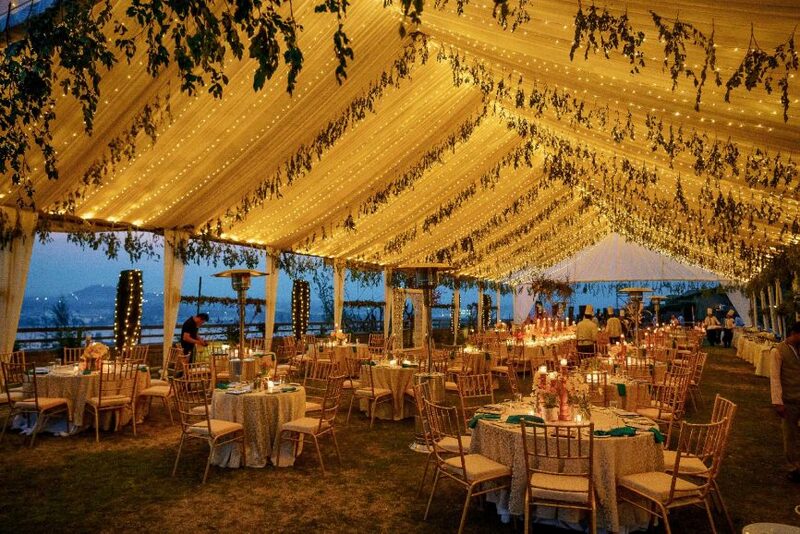 If you live in Delhi and don’t want to go too far, these places are perfect for destination weddings. 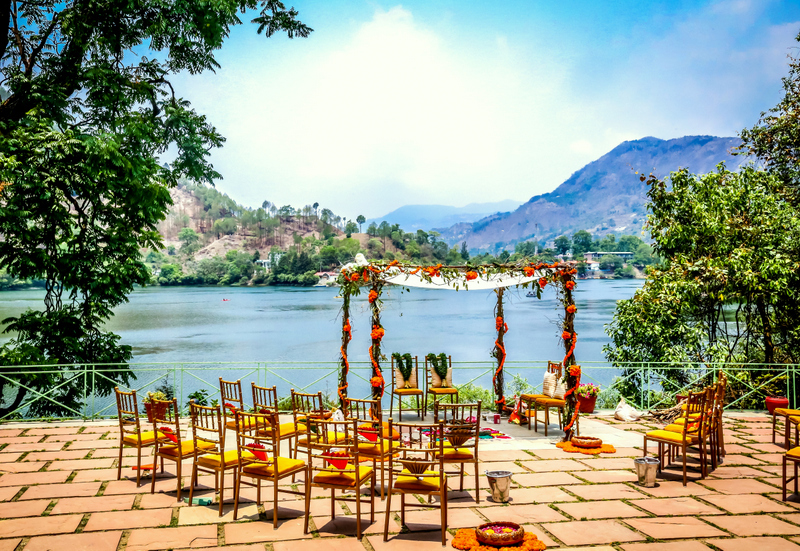 Here are five wedding destinations in the mountains of north India which can be the perfect canvas for your dream wedding. Mussoorie is known as the queen of the hills and for good reason. The view of the Garhwal Himalayas is absolutely stunning from this small town, especially in spring when the peaks in the distance are still snowy. Designer Anita Dongre’s son got married in Mussoorie recently and the pictures prove why Mussoorie will always be one of the best wedding destinations in north India. The Swiss Alps probably fade in comparison to the beauty of Gulmarg. The pine trees all around make every nook and corner of Gulmarg stunning. 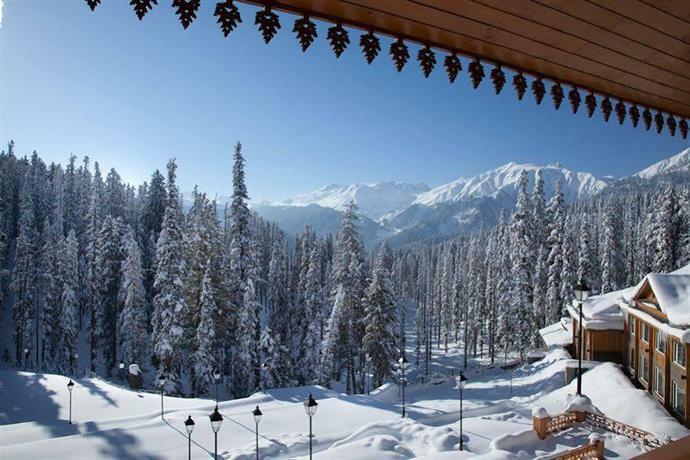 In the winter, Gulmarg is covered in snow and is a proper winter wonderland. And in the summer, the hills are lush green which also makes for a great backdrop. If the one hour drive from Srinagar to Gulmarg seems too much, but you still want the magic of Kashmir, Srinagar is also a great option. The luxury hotels near Dal Lake have spectacular views of the lake and mountains. They also offer beautiful grounds where you can get married in style. One of the advantages of weddings in Kashmir is that you can use the flowers that are grown locally for a gorgeous decor. Naukuchiatal is a small town located near Nainital but it doesn’t get half the number of tourists. The lake isn’t crowded, and it’s highly likely that if you go boating, yours will be the only boat you see. There aren’t too many resorts there either, and even fewer resorts with an undisturbed view of the serene lake. It’s only six hours away from Delhi so you can hire a bus or multiple cars for your friends and family. A stunning view of the iconic Pangong Lake and the serenity of Ladakh makes for unmatched wedding pictures. Photographers Shachi and Rikhil recently tied the knot at The Hermitage and the view alone ensured that their wedding will always stand out for its uniqueness. Going by road is a lot of work and time but you can fly to Leh. You will need to give yourself a couple of days to acclimatise to the altitude though. We tried picking a favourite among these venues, and we failed. So choose any one of these wedding destinations in north India for the mountain wedding of your dreams.